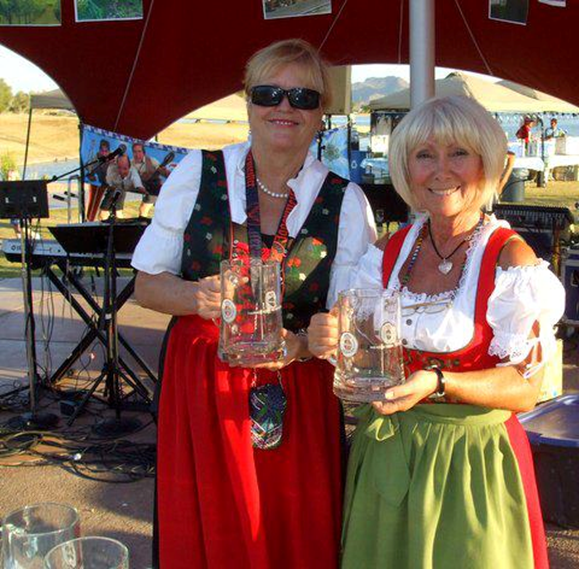 Fountain Hills Oktoberfest comes to Fountain Park Friday and Saturday, September 26-27. Oktoberfest is back at Fountain Park this fall. The Southwest German Society, AMVETS Post 7, and the Fountain Hills Elks Lodge #2846 are proud to bring this German tradition to Fountain Hills. Bring the entire family to enjoy German music, great food, beer, contests, and a designated children’s area. Supported by the Town of Fountain Hills. The contests and music are an especially fun part of the Fountain Hills events, featuring contests on the Amphitheater Performance Pad throughout the event for every age group. Dancing is spontaneous and requires no forethought or skill…just a willingness to have a good time! This entry was posted in Area Events, Arts, Culture, Schools & Clubs and tagged Fountain Hills Oktoberfest. Bookmark the permalink.